then click one of the red download buttons. I'm enjoying the pants out of Pep 9, a lot of people are having problems in 18.04 with Nvidia drivers, luckily now I've said it I have had no said problems. 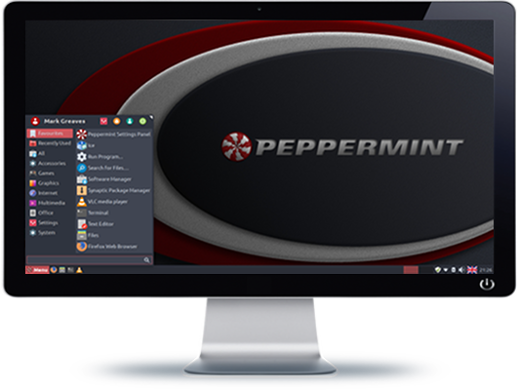 Just want to say thank you Peppermint team, for making all my computing world brilliant. big thanks to the "pepp-team"! anyway, again: great job! please keep up the good work! Fonts .. I'll see what differences there are between the PM8 and PM9 pre-installed fonts. PCNetSpec, if I may, since you are talking about gtk theme, the Peppermint-Grey-Dark theme, when used, wasn't showing the volume levels in Pulse Audio. I posted a screen shot of Grey and Red to show the difference. I was invited to join Total OS Today on a live chat and was told there was no volume. I brought up Pulse Audio and saw no levels. It took me a while to figure it out but I had recently been playing around with the different Peppermint themes. I know sometimes some themes just don't work right. Sure enough, when I changed back to Red I was able to see levels. Not a big thing but I thought I would let you know. I'll see if I can fix it for the respin Steve .. I have a feeling the volume is probably displaying, it's just displaying the same colour as the background.